Note: It is not necessary to purchase this repair prior to sending us your TIPM. Most customers prefer to send us their TIPM first and then have us make sure the requested repair is even needed or to see if it is advisable to replace additional components based upon our thorough testing process. We’ll always get your approval before implementing repairs that exceed what you have requested. To send us your TIPM and initiate a repair request, simply fill out the Repair Submission Form, and review our Packing and Shipping Guidelines on that page. This Repair Service Want to replace all the mechanical relays while we’re fixing the immediate problem? 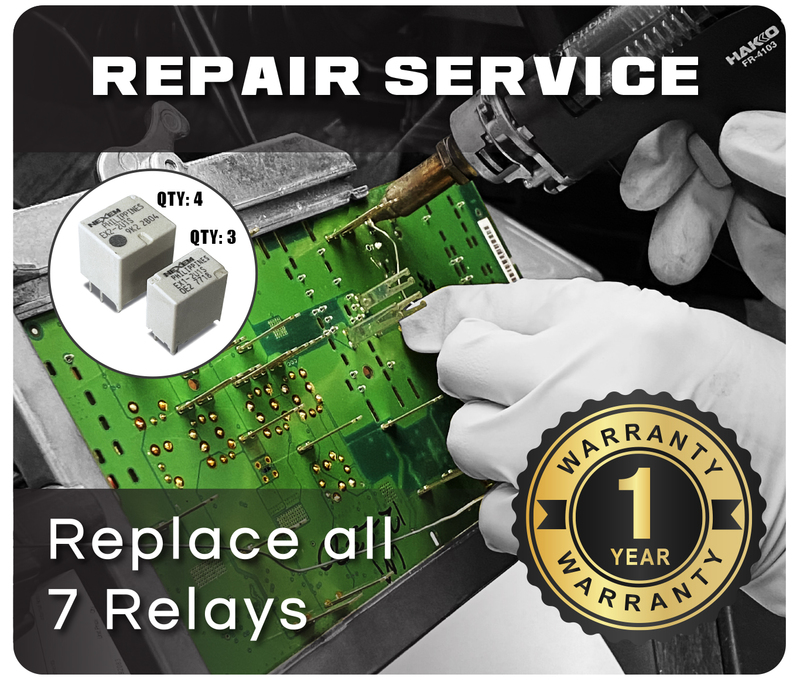 The repair consists of replacing all mechanical relays with newer updated relays by the original manufacturer Nexem (formerly NEC/Tonkin). Call us if you have any questions. All repairs include inspecting upper and lower PC Board for defective components and/or traces. 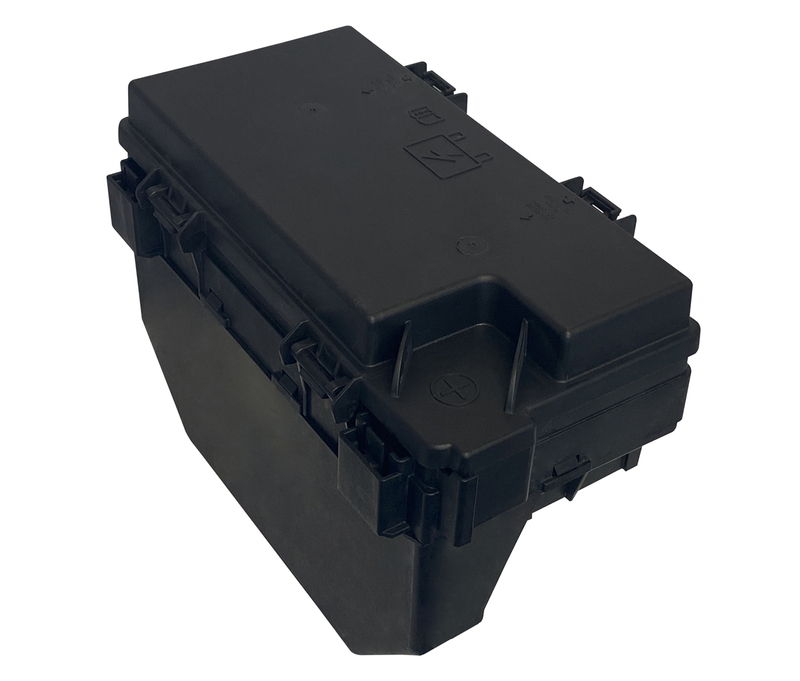 We replace components only with the latest revision from the Original Equipment Manufacturer that are substantially more reliable than the original versions. The entire TIPM will be cleaned and the external relays and fuses will be tested. TIPMs are then bench-tested, and QA tested in a live vehicle prior to shipment. 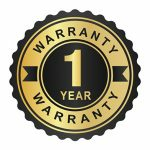 The repair is warranted for 1 year from the date of repair. Excellent service. TIPM reconditioned perfectly and truck runs and starts like new. Timely resolution as promised as well. Many thanks. Very nice people. Worked great. Fast good clean work. They did a hreat job. Thank you. These guys were the greatest. Easy to communicate with and did their work professionally and returned my TIPM promptly. Solved all the electronic issues. I would highly recommended Mak and his team!.Keep up the good work! Absolutely impressed! I was contacted only a few hours after ordering the service to make sure i was getting exactly what I wanted and needed. Once they received my TIPM they called me once more to make sure I knew they had it and would start work on it immediately. Highly recommend!